20+ years in corporate real estate and commercial construction experience. Broad based work history in program/project management, commercial advisory and category management. 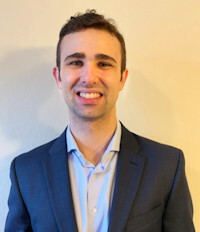 Erik graduated from the University of Houston with a BBA in Supply Chain Management, obtained CPSM certification in 2017. Has held a variety of Procurement & Supply Chain Management roles including Sourcing, Processes, and Category Management within Oceaneering International and now BP. Currently working on the Westlake campus re-build and modernization/transformation initiatives within the Americas Property category team. ISM-Houston hosts a private room at The Woodlands Country Club | The Palmer Course to meet and engage with supply chain professionals, and establish lasting external connections in a social setting. Our accomplished panel of supply chain leaders represents three of Houston's leading industrial sectors: chemical manufacturing, chemical distribution, and oil & gas exploration and production. Join us to learn today's most important challenges relating women in supply chain, and their path to leadership roles. 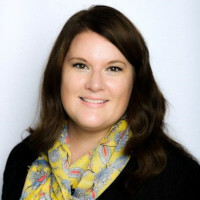 Amanda has built a career over the last 15 years focused on implementing innovative solutions to Procurement organizations and has a passion for coaching organizations through large-scale transformations. In her recent role at MGM, she was responsible for implementing and sustaining new, best-in-class sourcing programs and for leading the source-through-pay transformation. Before joining MGM, Amanda served as Associate Director at the Kraft-Heinz Company, where she led the simplification of processes, focusing on cost reduction strategies, supplier development, and technology enhancements. Prior to that, Amanda held various Procurement roles within the CPG industry. She also is the author of “Procurement Unstuck,” a blog related to procurement and source-through-pay issues. She serves on the ISM Conference Leadership Board and is the Founding Chairman of the ISM Thought Leadership Council. She has recently decided to start High Performance Procurement, which focuses on helping Procurement organizations unlock tremendous value by creating high performing suppliers and developing high performance talent in the digital era. 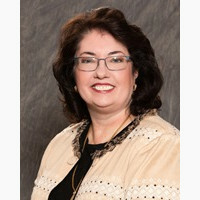 Dona Burke currently serves as the Vice President, Procurement for TPC Group in Houston. In this role, Ms. Burke is responsible for TPC Group’s indirect services and materials procurement, including warehouse operations. 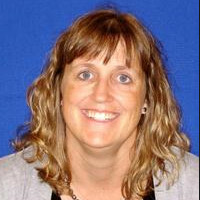 Ms. Burke joined TPC Group in September 2010 as the Director, Planning and Optimization. During her tenure in this role, she transformed the planning organization into a valued resource and business partner. She transitioned to her current role in April 2017. As North America’s largest producer of finished butadiene and the largest producer of butene-1, companies around the globe rely on us as their dependable supplier for hydrocarbon processing and other specialty chemicals. We are the sole producer of chemical grade diisobutylene in North America and the second largest active merchant producer of high purity isobutylene in North America. Our products are sold to a wide range of performance, specialty and intermediate markets, including synthetic rubber, fuel additives, plastics and surfactants. Put simply, we make the products that go into making the world’s tires, carpets, gasoline additives and many other essential items used in our daily lives. Marian Nimon is the Associate Director and SBLO of the HUB & Federal Small Business Program for The University of Texas MD Anderson Cancer Center. She developed an innovative and well-respected multi-award-winning Program in her 25 years at MD Anderson. 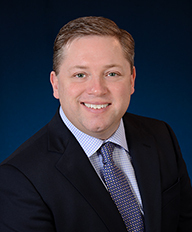 Career highlights encompass all aspects of Supply Chain Management and industry knowledge spans defense to healthcare, including federal and state regulations. Committed to supplier diversity, she enjoys interesting and challenging tasks. Assisting people is her passion and she embraces continuing education. Marian received her MBA while working full time and serving as President of ISM-Houston, Inc. In addition, Marian is a graduate of Leadership Houston and former Board Chair of the Women’s Business Enterprise Alliance (WBEA). U.S. News & World Report's "Best Hospitals"​ survey has ranked MD Anderson the nation's top hospital for cancer care. Every year since the survey began in 1990, MD Anderson has been named one of the top two cancer hospitals, and it has ranked first for 10 of the past 11 years. The recognition reflects the passion of our 21,000 extraordinary employees and 1,000 volunteers for providing exceptional care to our patients and their families, and for realizing our mission to #endcancer. What Is Women in Procurement and Supply Chain 2019? Mapping the procurement vision into 2020: what does the future hold? By registering for this event, you provide ISM-Houston, Inc. your consent to be included in photographs and video recording of the event.